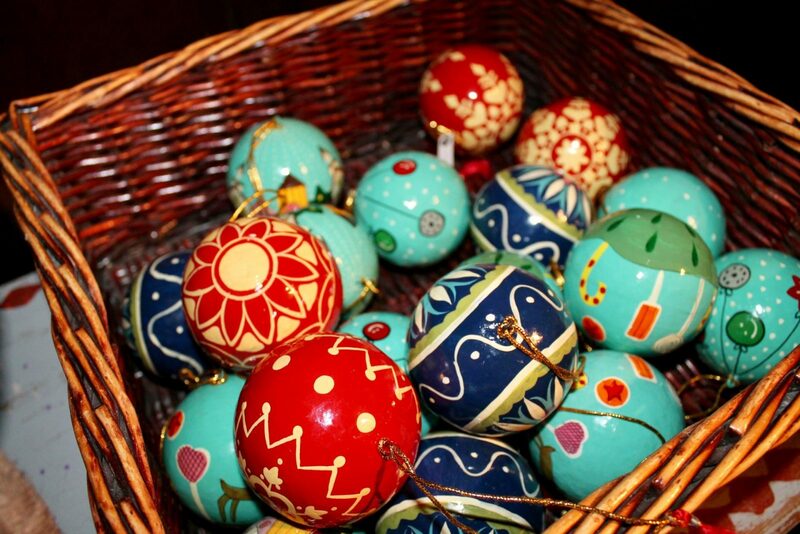 And don’t you agree that Christmas time is the most magical of all? 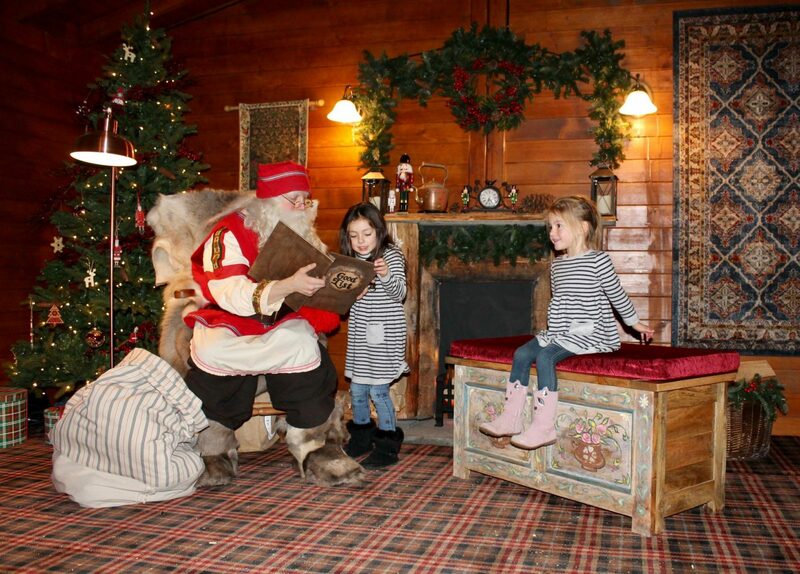 Fortunately for us, we were given the opportunity to have the magic start early for my little girls, as they were cordially invited by none other than Father Christmas himself, to come visit him at his home in Lapland UK, (naturally! ), and to assist his elves in making sure the toys were ready for all the little girls and boys who have been good this year. 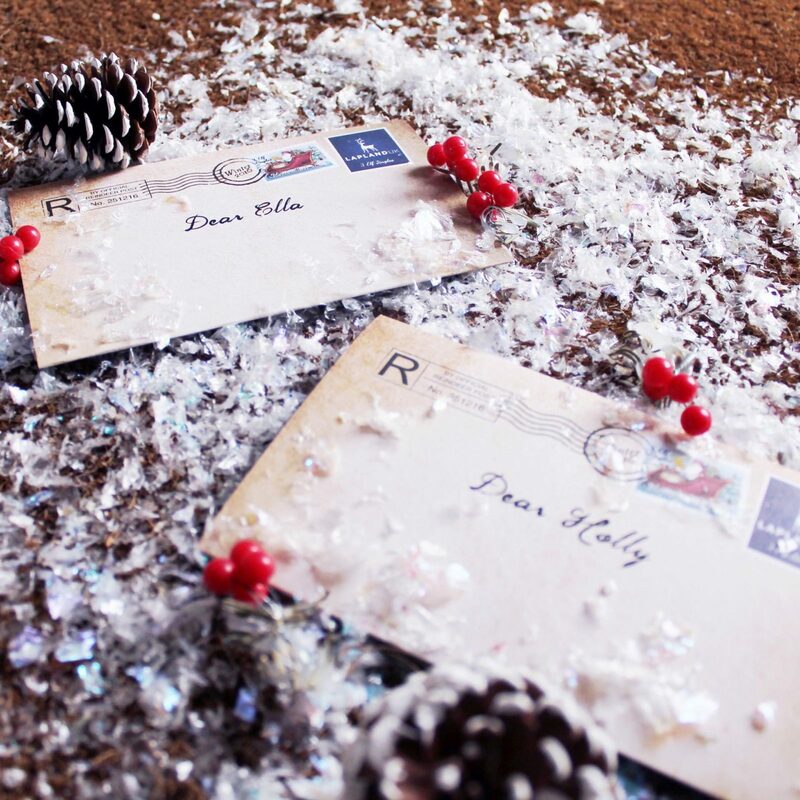 A few mornings ago, Holly (6) and Ella (3) ventured down the stairs to find the most beautiful wax-sealed invitations for each of them sat on the doorstep along with a little slurry of snow. 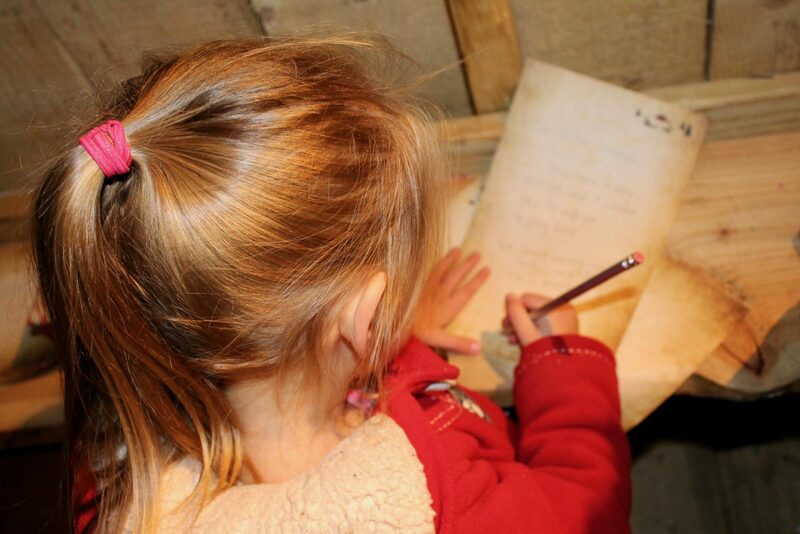 Their names were prettily scribed in gorgeously authentic calligraphy style letters on the front, and inside was a plea from Father Christmas asking them to come and help him and his elves make the toys, due to so many children being good this year. Obviously, this went down a complete storm! Their eyes so alight with joy and excitement, which as I later discovered, was something I would see many times more in the days that lay ahead. We arrived at Lapland UK, based in the stunning Whitmore Forest, Ascot in good time for our 3 o’clock tour experience. You see, it’s not a theme park. As it clearly states on the website, …. 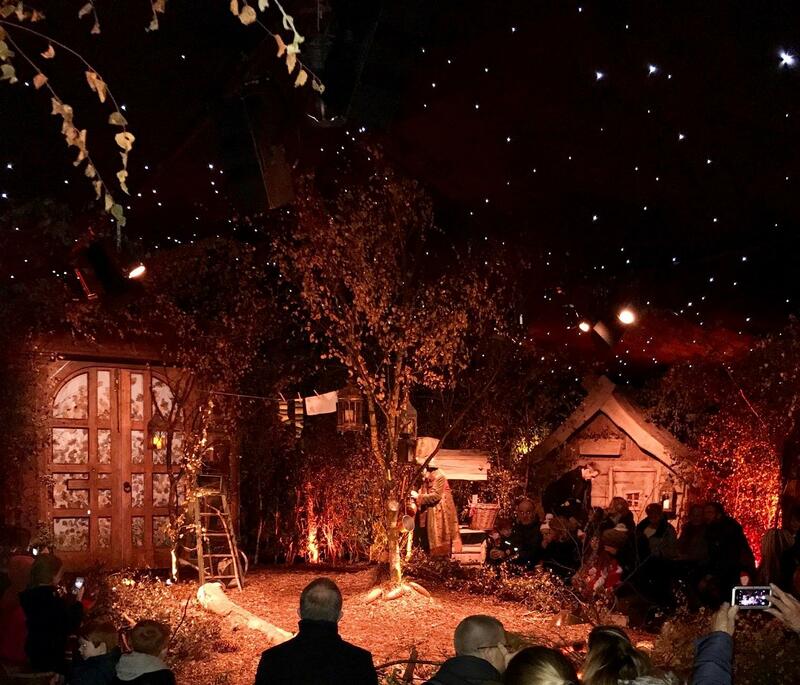 LaplandUK is an award winning immersive Christmas family theatrical experience that invites Big and Small Folk to step through a magical door into Lapland, travel along secret pathways, uncover the hidden Elven village and help Father Christmas’ Elves make toys for the children of the world. 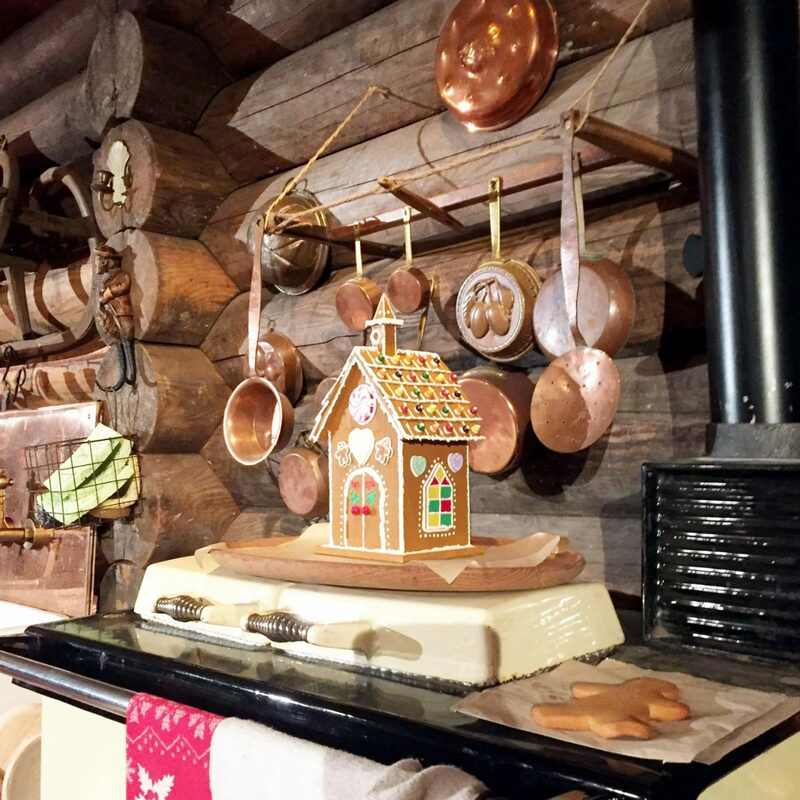 Donned in warm coats, scarves and all of us with beaming excited faces, we headed off down along the signed pathways, to find a rustic wooden reception lodge which served as the entranceway to the fairy-tale Enchanted Forest. 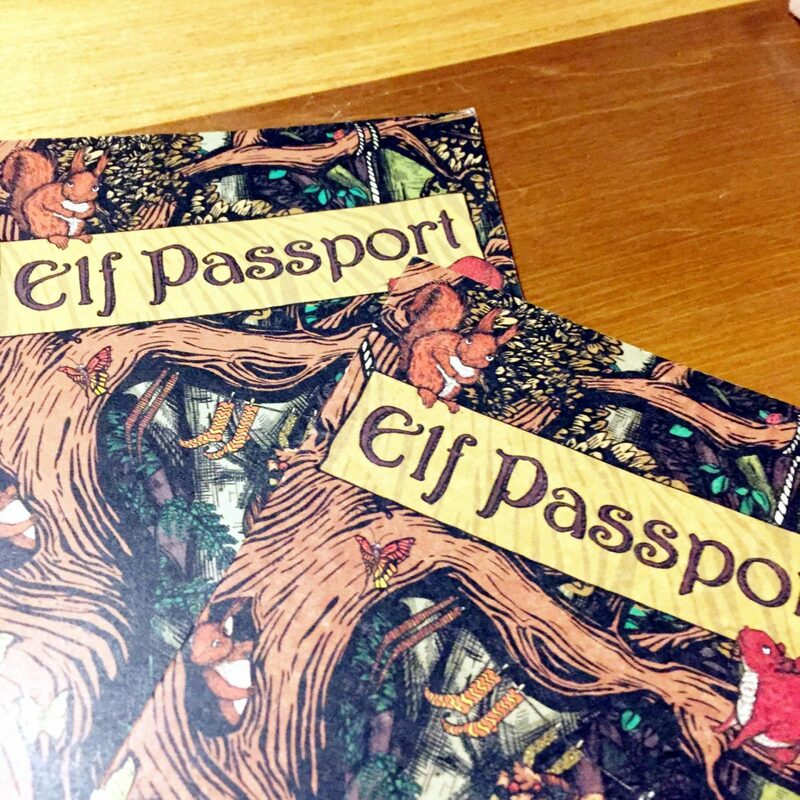 We checked in with one of the extremely helpful elves at the front desk, who gave each of the girls their very own Elf Passports, which they would use along the journey to collect a stamp from each part of the tour. We also collected our ‘Elf Jingles’ in their beautiful little crimson velveteen pouches, which I had bought online a few days previously, but then found out they could easily be bought at the onsite ‘Elf Exchange’ too. £1 equates to one Elf Jingle. The pretty waiting area, glittering with twinkling fairy lights, was brimmed full of enthusiastic children, all eager to see what lay beyond the doors ahead. 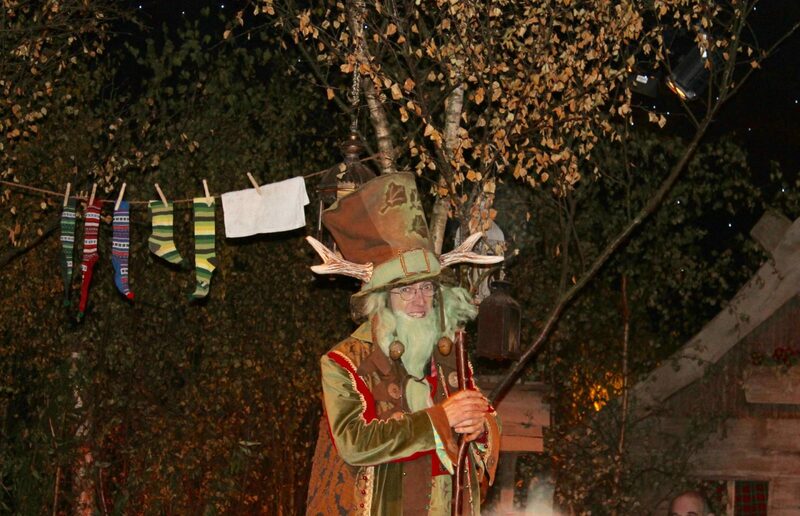 Welcomed with tales, rhymes and even song (we were all encouraged to sing along, as the words were in the Elf Passports), by a very well dressed Elf, who then introduced us to our guides who would help us find and navigate our way through the secret pathways. There were two groups and therefore two guides. Ours was a Husky herder and the other group were led by a reindeer herder. It was their job to make sure we arrived promptly at each of the next few experience destinations, en route to the Elf Village. First up was the Enchanted Forest. This is where we met a couple of elves, Sage, who was busily hanging up his washing and Eco, who was buzzing around making sure all the plants and creatures were well cared for, who explained to the children all about where elves really come from. They also then told of how very important and special each of the children were as they would be such a great help to Father Christmas in getting all the toys ready for Christmas Day. Then it was time to travel onwards. The grand oak door slowly opened, with gasps of excitement from the children and adults alike at the first glimpse of the magical white snow-capped land that lay beyond. Guided again by our trusted Husky Herder, we followed keenly through winding tree-lined pathways, blanketed in purest white snow. As we arrived at The Toy Factory, the ‘small folk’ (an ‘elf’ word for children), were ushered through the smallest little doorway to the left, as the ‘big folk’ (the adults), were led through the normal sized door to the right. 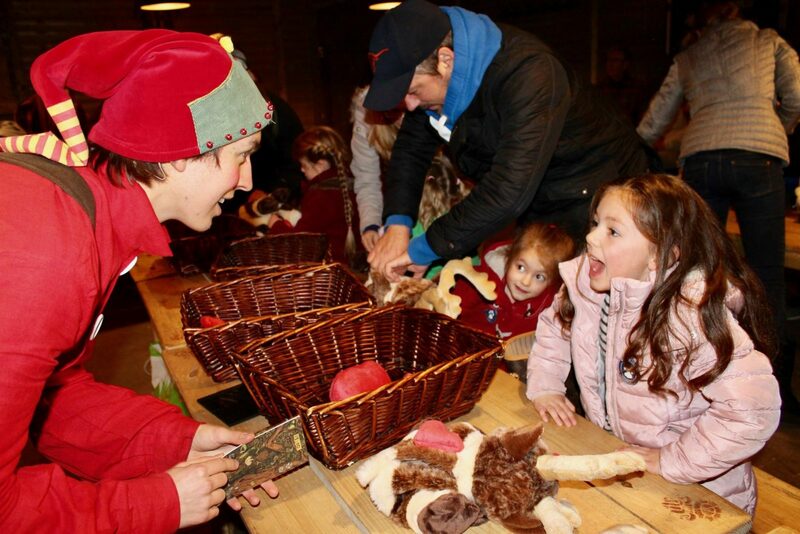 All the children were encouraged to settle down on to large wooden benches in the middle of the room whilst the parents all sat around at the sides, watching their little ones enjoy the encounter with even more elves as they were given instructions as to how to make the toys. 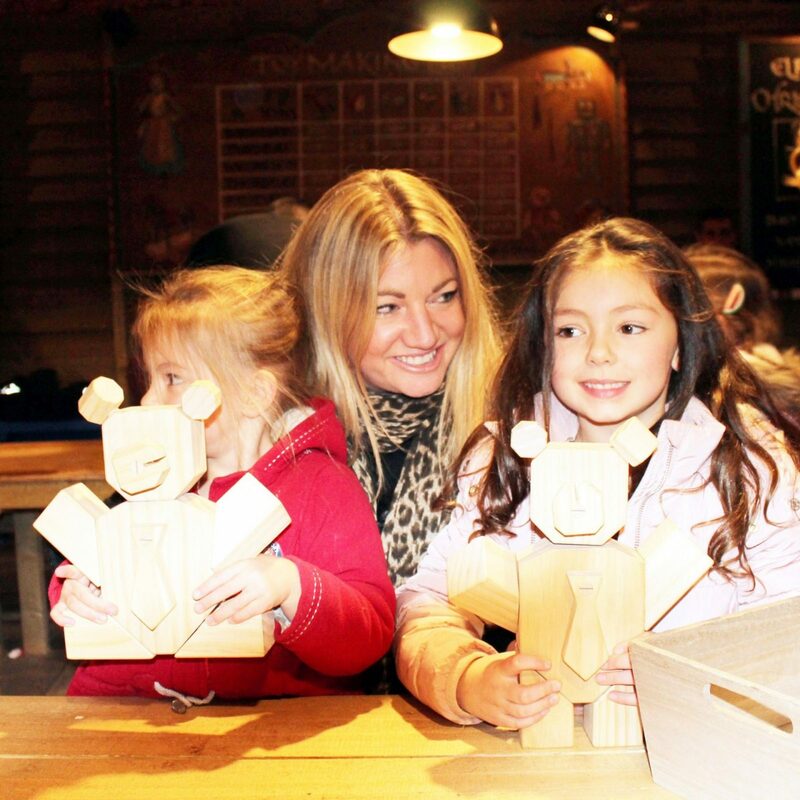 The toys were very simple and easy to make, which was perfect for both Holly and Ella, although we were on standby to help stuff or put together any parts which proved a little more tricky. 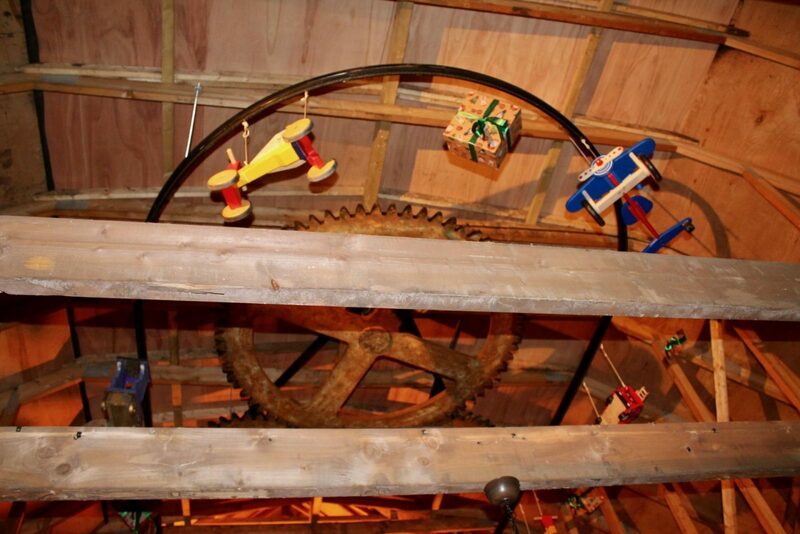 Once they’d all made their toys, they popped the finished article back into the wicker basket, and walked it over to the toy collection area, ready for them to be sent out to the children on Christmas Eve. I did think there might have been a problem with Ella handing hers back over, but you’d be surprised at how being ‘helpful’ makes them very grown up indeed, giving them such a feeling of pride. 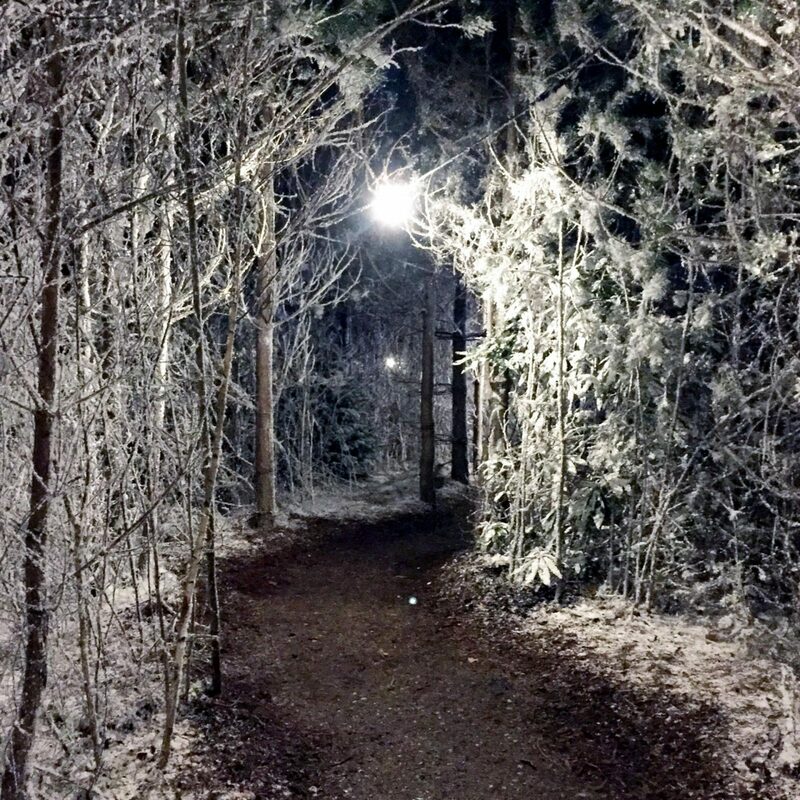 Another walk along the snowy forest maze, to another hidden fairytale cabin. In here, we found Mother Christmas cheerily bustling around in her kitchen along with her helpers. She had all the children sit down on the little benches in front of her, as she sat on a lovely old wooden chair in front of them and explained how much Father Christmas loved gingerbread, but how he eats far too much of it! She then asked them all to help her make some lovely Gingerbread men, for each of the children to take home and enjoy later on. 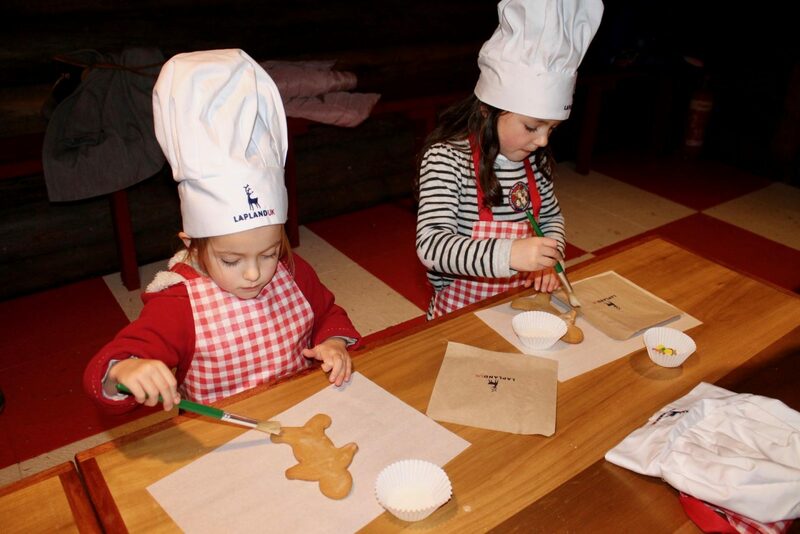 As she explained what to do, her elf helpers, busied round the kitchen dishing out setts and icing to each of the work benches, ready for the children to have their go at decorating the biscuits! Each workstation was wonderfully laid out with apron, chef hat and paintbrush, where the kids were then encouraged to design away! Again all very organised, and extremely easy for little hands to get stuck in! 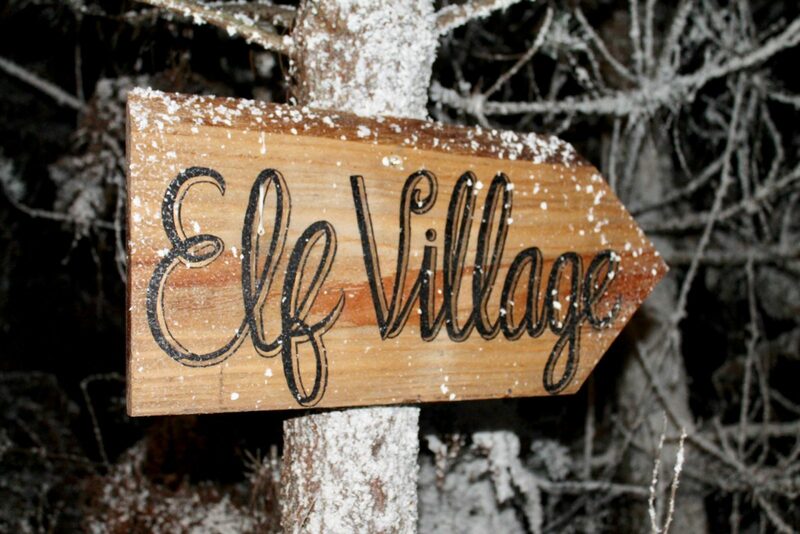 We ventured back outside to find the skies were dark and the stars were out, so the walk through the trees, festooned with lights, just added to the magic of the day as we found our way through to the Elf Village. Jaws dropped, eyes widened, and gasps of delight from all directions as we rounded the last turn to find the snow covered clearing in front of us! 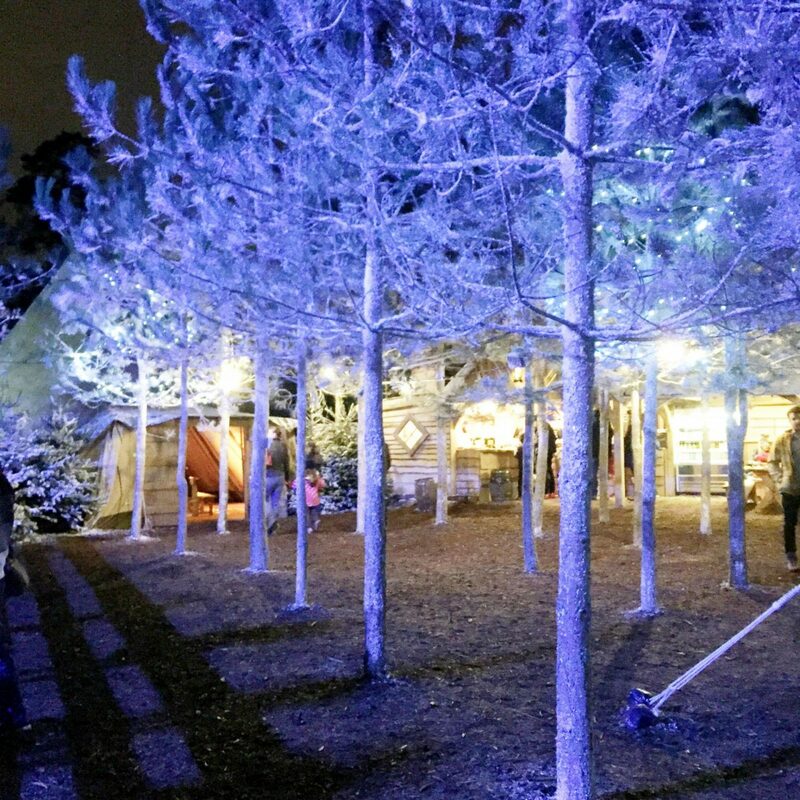 There were trees filled with twinkly fairy lights, beautifully rustic lodges dotted along to one side, and with a huge ice rink and the most enormous Christmas tree taking centre stage, it was utterly spell-binding. The tour timings allowed us one and a half hours to spend here, where we could ice skate, meet the huskies, shop, eat, drink and explore. First up was obviously the ice-skating, as the girls were just so excited, there was no way we could just stroll around to see what was there before we had a go! To say they were keen was an understatement! They’ve never actually been before, so it was all very new, but rather than being daunted by it they were just desperate to pop on those skates and get on the ice! I do love the ‘gung-ho’ attitude that children have. The children’s skates were not boots which the adults had, instead they were just adjustable shells which were fastened on over the top of their boots and shoes. Which of course made the process far quicker and easier. And they could choose to have either single of double blade. So then, with a bit of a wobbly start, and holding tightly on to Daddy, off they went. I was so disappointed I couldn’t have a go too, but with my latest injury, it unfortunately wasn’t worth the risk. 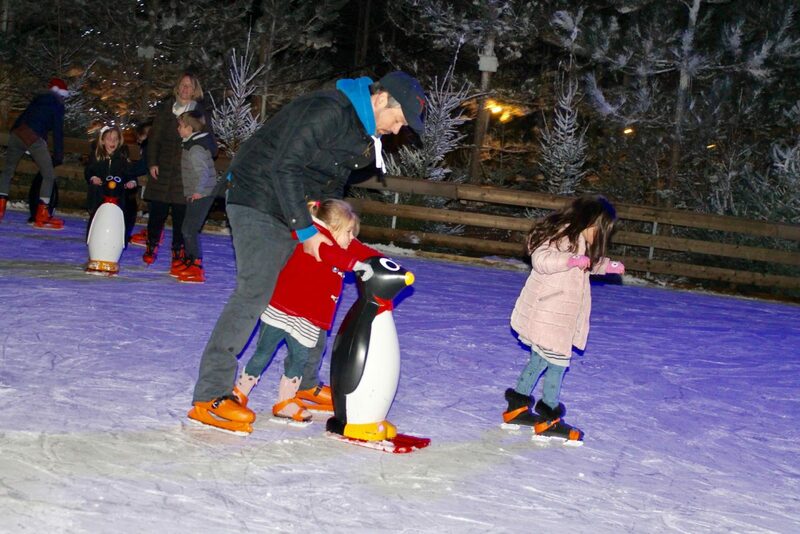 The penguin stabilisers were great for the little ones, and even some of the bigger ones were holding tightly on to these too as they escorted their children tentatively round on the ice. And I loved how you could totally cheat too! We discovered that if you turn the penguin around so he (or she!) faces you, the child can pop both feet on and just be whizzed around by the adult! Perfect! 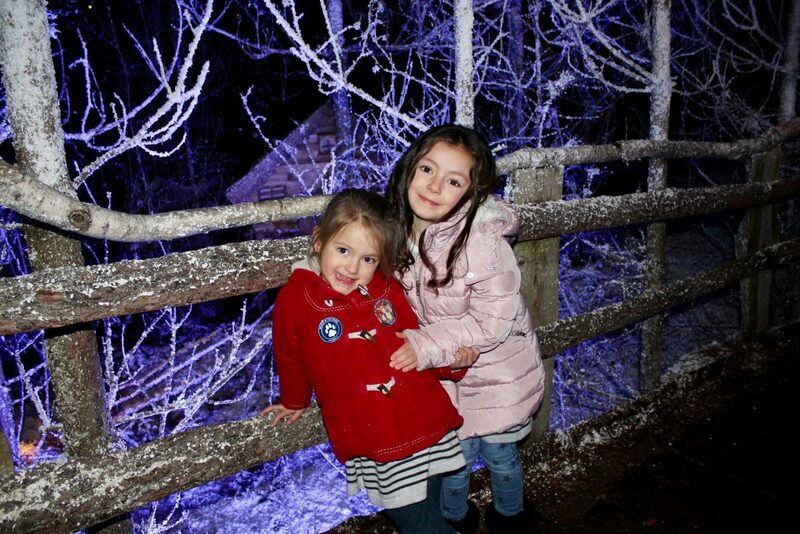 It was so much fun just to watch, and I have been assured by both Holly an Ella, that it was ‘AWESOME’! In the post office, the girls both wrote a letter to Father Christmas, thanking him for inviting them and obviously to remind him of their Christmas wishes, which were then stamped by the Elf Cashier and posted in the letterbox afterwards. 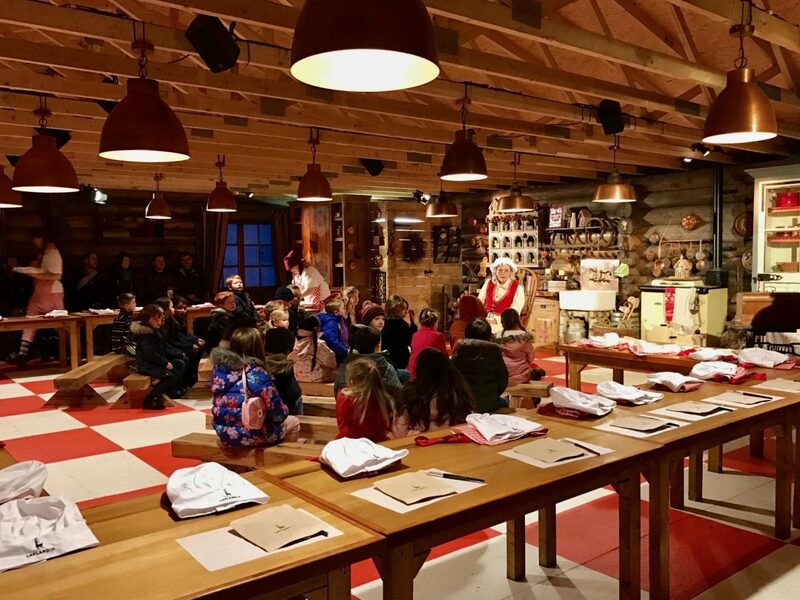 We then visited Bauble’s shop, where the girls were able to use their Elf Jingles to buy themselves a pretty bauble each for our tree at home, and then along to Pixie Mixie’s sweet shop for the girls to use the remainder of their jingles. I really loved how they were able to have a little responsibility for their money here – it was like play money which was actually real! We then visited the emporium for a few more gifts and trinkets and stopped for a quick drink in the little restaurant before it was time to head off in search of Father Christmas. The anticipation now was incredible. For both big folk and small folk alike. We were shown along to another cute little building with a waiting room where the adults then popped up and announced that their children had arrived. And after a short while, it was time! Another elf appeared through the door at the back of the room and called out Holly and Ella’s names. Again we walked through a labyrinth of twisted paths, but this time was different. We were no longer in a group. This was our very own personal experience and as such the excitement was dramatically heightened. 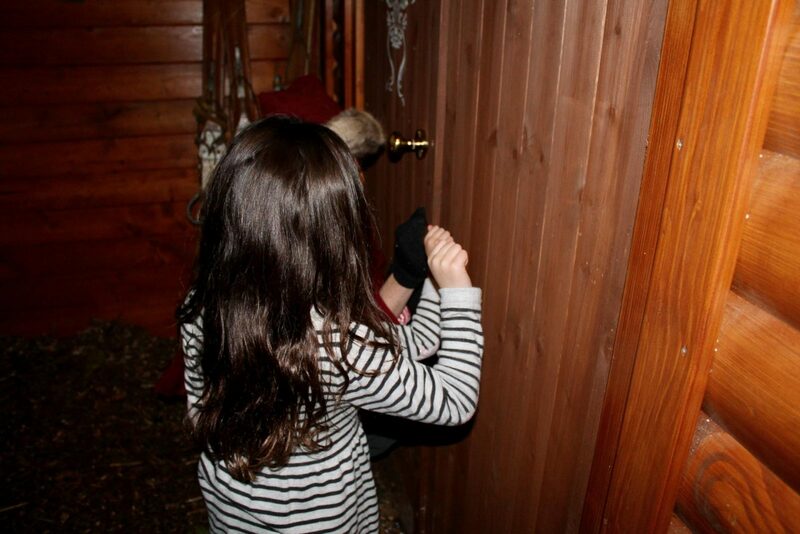 After left turns here and right turns there, we eventually came across a small cabin hidden deep in the Lapland woods, where the friendly elf asked the girls to wait just outside the door as he went in to check that Father Christmas was there and waiting for them. The looks on their faces were a picture as they sat, as good as gold and almost as quiet as mice, waiting to go inside. The elf reappeared and it was the moment they’d been waiting for. They both knocked as loudly as they could on the big door in front of them, and then crept inside. This to me was the absolute pinnacle of the day. Although every other single thing had been magical beyond our dreams, this was ultimately the perfect icing on the best cake ever! 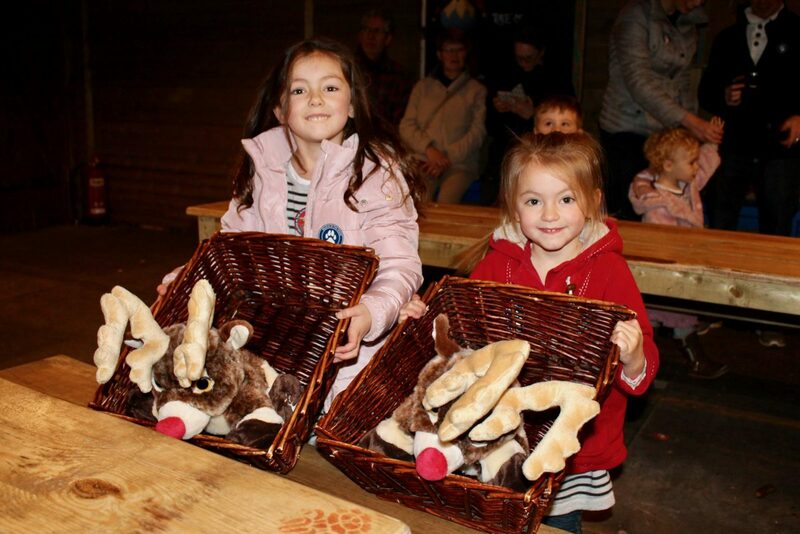 The girls were awestruck as they sat atop a kind of blanket box and spoke with Father Christmas about how much they had enjoyed their trip to Lapland and of the things they’d been up to of late. It was pretty funny too to watch as both Father Christmas and his helper tried their best to make sense of what Ella was saying, as she told them all about her boots and how one of the cats eyes was missing, which I must say, went on for quite a while! And when they spotted each of their names written on his Good List, I could have melted. Father Christmas was magnificent. Jolly, kind, attentive and friendly, all the things you would have expected him to be. A moment where for my two little girls, magic became reality, and where believing was most undoubtedly seeing. And then, after a really long and personalised conversation, Father Christmas asked us if we would allow him to give the girls an early Christmas present each for being so good throughout the year, and with a quick nod from us, produced two beautiful plush husky toys from his sack. To be honest I was a bit jealous, as I’d rather have liked one of these for me too! And with that, it was time to go home. I really cannot properly put into words how amazingly wonderful we found the whole experience. It’s a truly magical day, through and through, with incredible organisation, such minute attention to detail and the most friendly and welcoming of staff. It is something we will remember forever, but with a bit of luck, perhaps even something we can call a new Christmas tradition in the years to come. 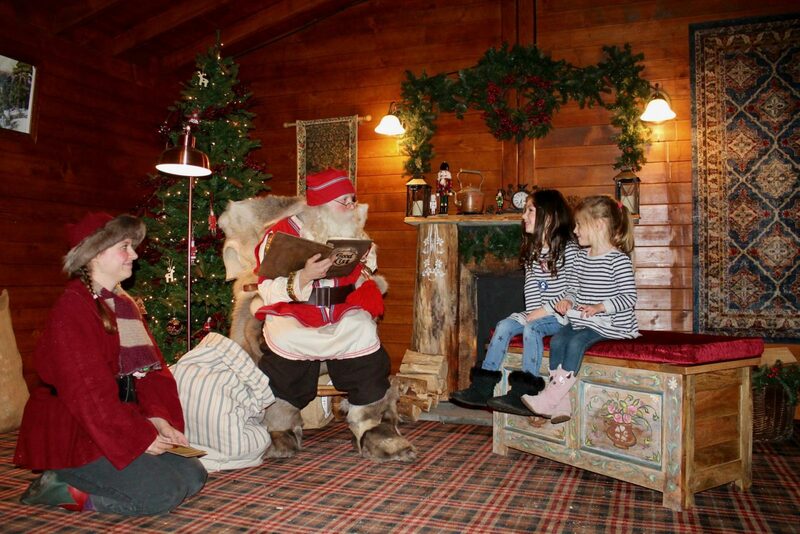 Thank you so much Lapland UK for inviting us to spend the most enchanting afternoon with you. We hope to see you next year too. I’ve heard it said by a fair few people that I’ve spoken to that at £75 per person it’s expensive. And yes, it’s certainly not cheap at the same cost as perhaps a small second-hand car or even a family weekend away! But having now visited and experienced it for myself I can say that it’s not cheap in both senses of the word and you certainly get what you pay for. There is nothing about the day which has just been thrown together on a whim. Absolutely everything has been thoroughly thought through and detailed to perfection. We were extremely fortunate to have been invited along to review the experience, but would I pay for it next year? Yes, definitely! If my husband let’s me, that is! 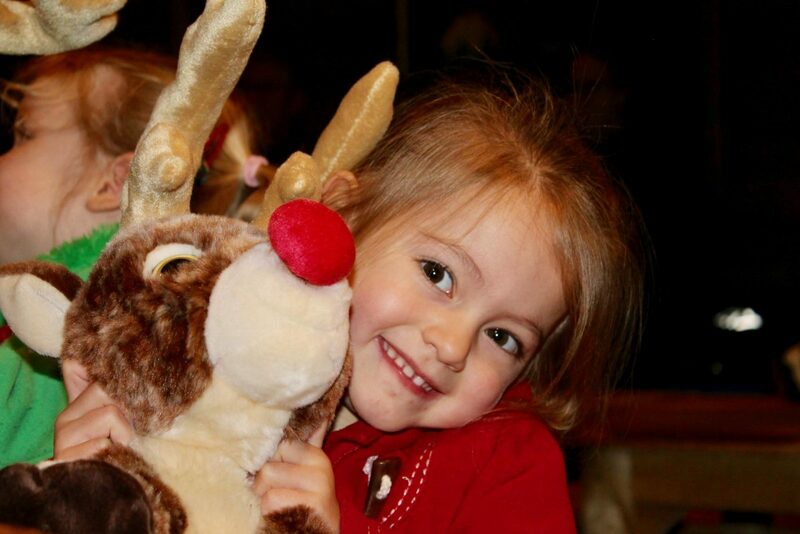 If only to see the sheer joy in my little girls faces upon meeting Father Christmas again. Even my own close friends are divided on this one, some would pay, and others wouldn’t, but perhaps it could be a one off special occasion one year, purely for the reason above, and only the one trip. It doesn’t have to be an annual thing. 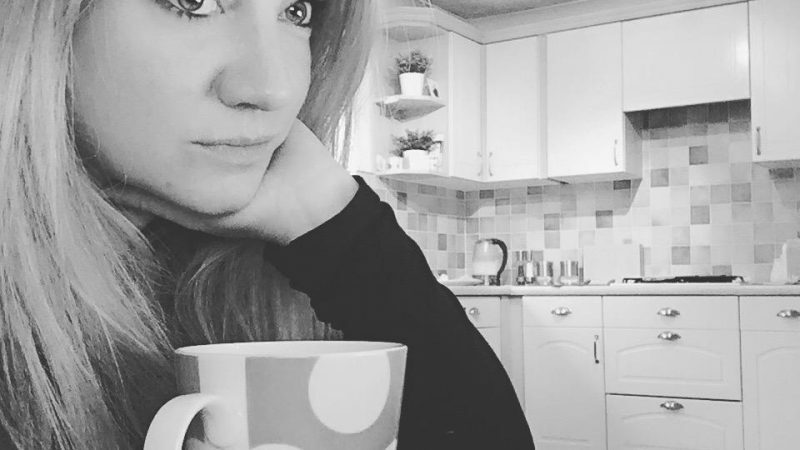 My sister told me that her 8 year old asked her only a few days ago if Father Christmas was real, which made my heart bleed a little bit. Children should have magic and make-believe in their lives for as long as possible. And if this is a way to make that happen, then I’m all for it! Plus, it really was ALL about the children! To make them feel special, involved and important. For this alone, there is nothing I could fault. I just wish I could take everyone! 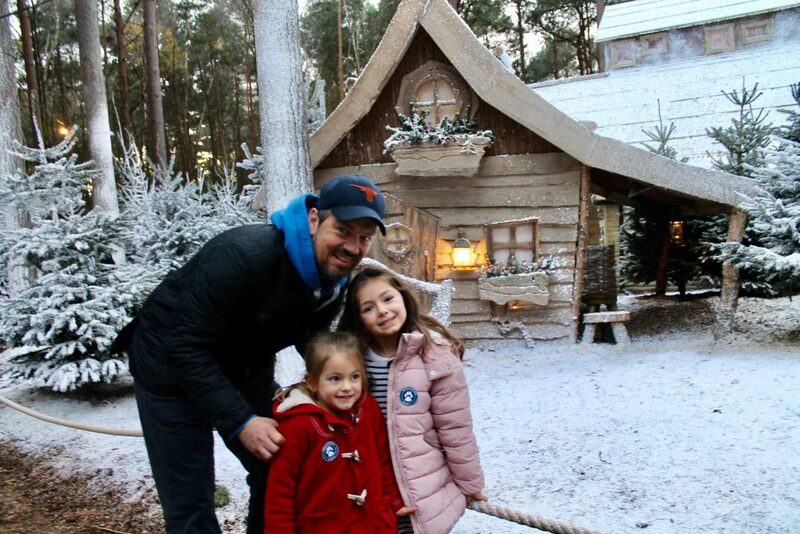 All I have to say now is a huge, huge thank you from us, Holly & Ella to Lapland UK for inviting us along to experience the magic. 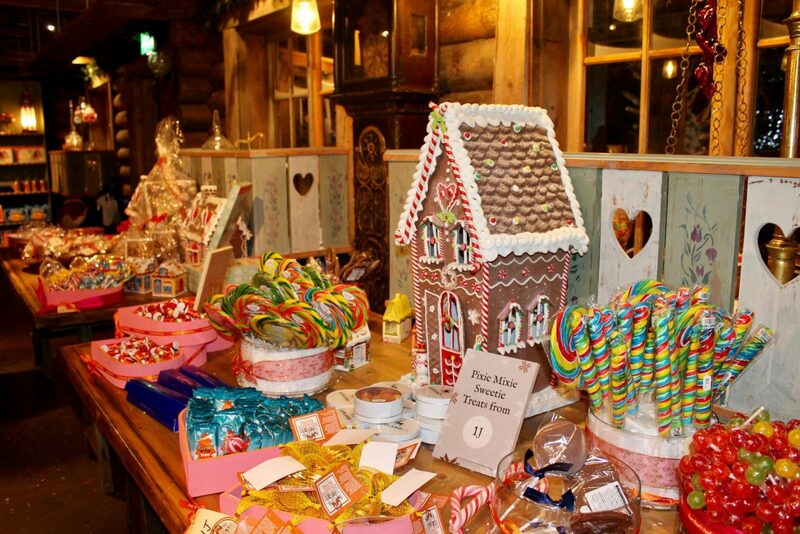 Disclosure: We were extremely lucky to be invited to visit and review Lapland UK for the purposes of this post, but all thoughts and opinions are entirely my own. My gosh this is beautiful, in my opinion it looks very worth £75 each. I am definitely going to look this one up for next year.